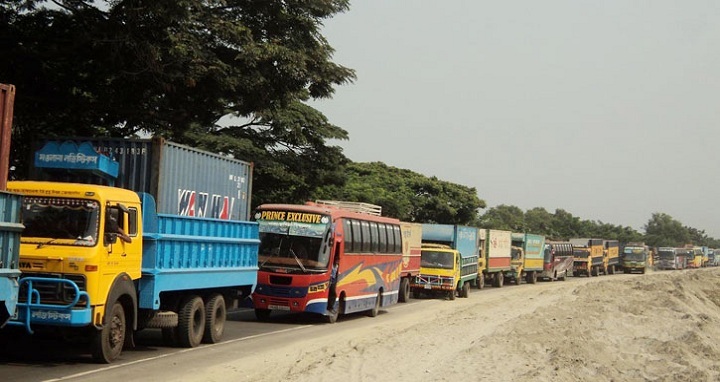 Dhaka, 17 August, Abnews: A 22-kilometre tailback has been formed on the Dhaka-Chittagong highway due to heavy rush of traffic as Dhaka dwellers leave for their villages for the Eid holidays. According to witnesses, the traffic jam was created after a truck turned turtle in Gajaria area on the highway early Friday. Hundreds of passengers have been suffering immensely on the highway since the morning as vehicles got standard on the highway. Highway police were trying to ease the congestion.